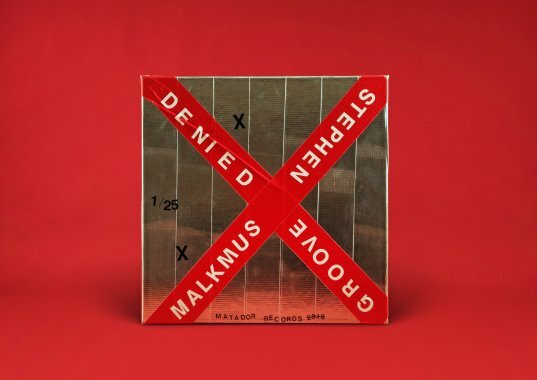 After releasing videos alongside the advance singles “Viktor Borgia,” “Rushing The Acid Frat,” and “Come Get Me,” Stephen Malkmus’s solo record Grooved Denied is out in the world today. 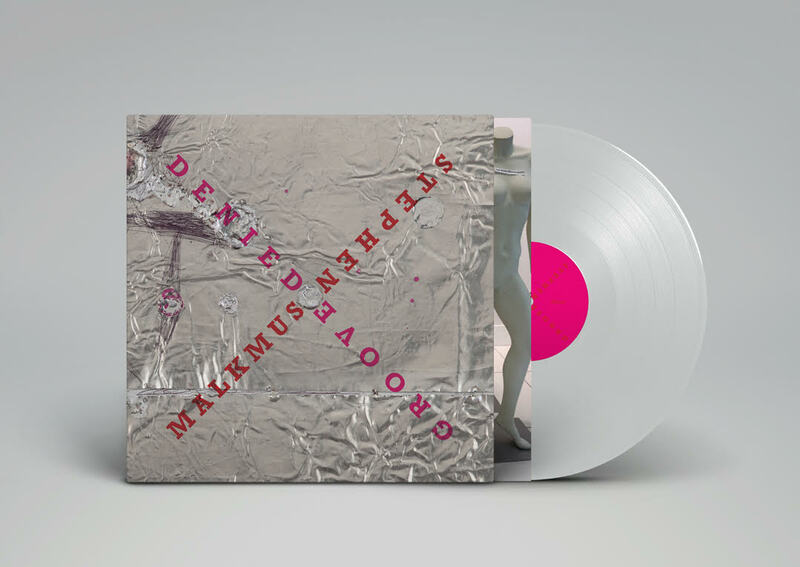 Stream the new album/Purchase the clear vinyl edition or CD HERE. 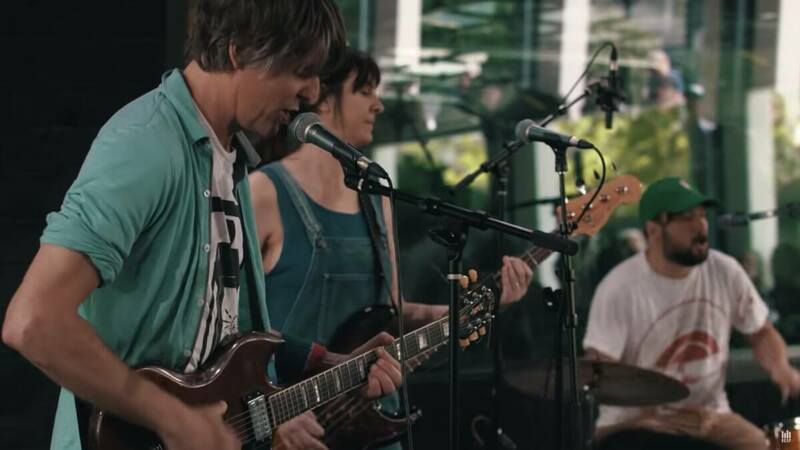 Malkmus’s solo dates are selling out quickly, see a full list of his May ’19 Groove Denied performances as well as upcoming shows with The Jicks below. 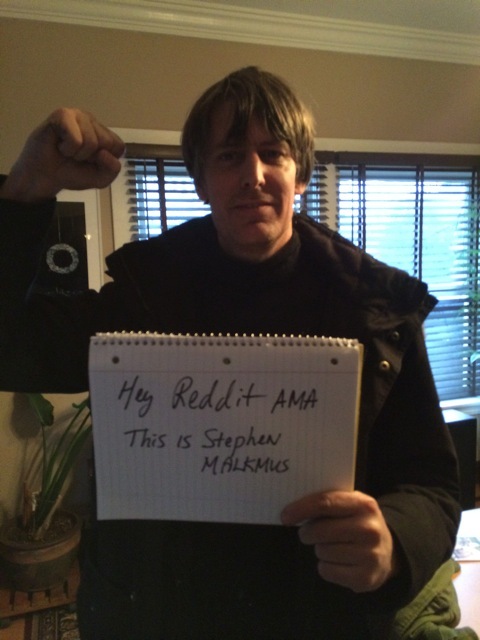 Stephen Malkmus will partake in a Reddit A.M.A. today at 4pm Eastern– more information about that interview is available here. 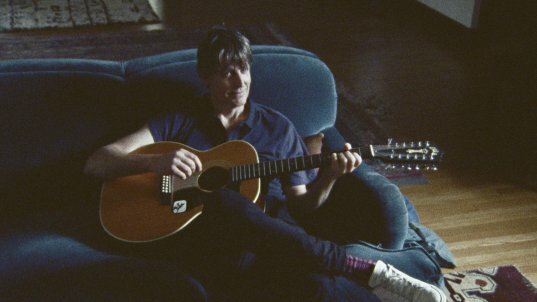 Ahead of the release of Groove Denied next Friday March 15th, Stephen Malkmus has premiered the track “Come Get Me” and its accompanying lyric video. 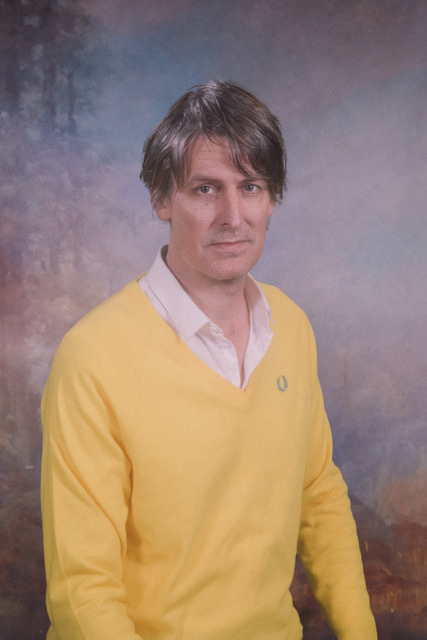 The new song follows the recent release of “Viktor Borgia” and “Rushing The Acid Frat.” Malkmus’s Groove Denied performances are quickly selling out, see an updated list of dates both solo and with The Jicks below. 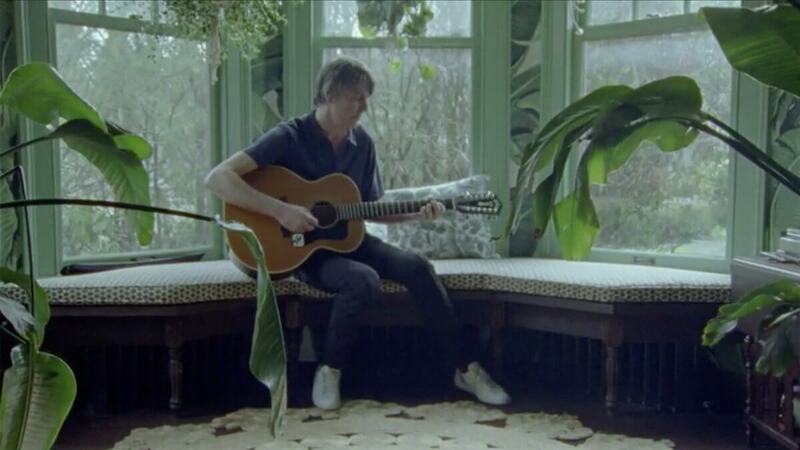 Have you ever wondered what it would be like to hear an extended conversation between author/screenwriter Bret Easton Ellis (left) and guitarist/vocalist/fantasy sports enthusiast Stephen Malkmus (right)? Me neither, but your opportunity to do so can be found above! During January’s week-of-release whirlwind of NYC activity for the release of ‘Wigout At Jagbags’, SM & The Jicks took up Bobby Bonilla’s kind offer to show them the Bronx and topped it off with a session at WFUV. “Shibboleth” is shown above ; there’s also versions of “Lariat” and “Scattegories”. 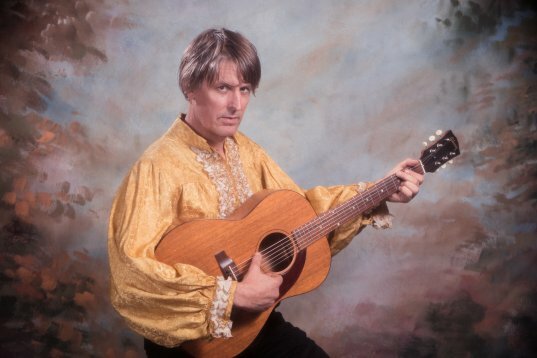 The 6th album of studio mastery from Stephen Malkmus & The Jicks, the not-at-all Dag Nasty baiting ‘Wigout At Jagbags’ is in finer record stores and is available from all better digital retailers today. (ALSO AVAILABLE DIRECT FROM US). 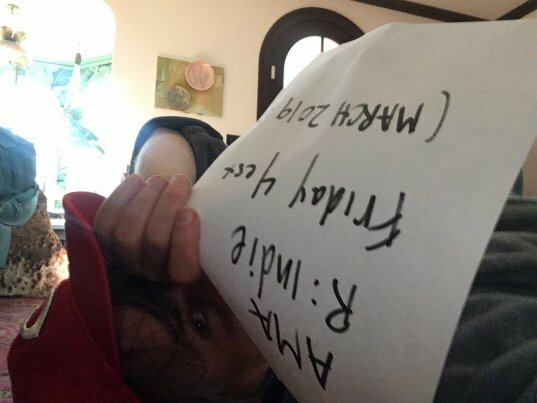 If this week’s multiple NYC instores, gourmet ice cream tastings and network TV appearances weren’t enough Jicks activity, Stephen will be doing a Reddit AMA on Thursday at 1pm. Will it be as illuminating as the AMA with “A Amazon warehouse associate who processes your returns”? I’m betting yes. As previously mentioned, Stephen Malkmus & The Jicks and Momofuku’s Milk Bar have joined forces to bring us Wig Out At Jagbags inspired new flavor, “Cinnamon & Lesbians”. 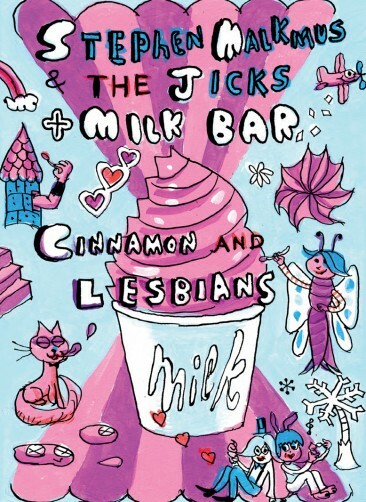 Starting tomorrow, visit Milk Bar’s Williamsburg location (382 Metropolitan Ave, Brooklyn) to get a taste of “Cinnamon and Lesbians”, available for this week only. All purchases of this very special soft serve will come with a limited edition poster designed by the one and only Gary Panter . SM & The Jicks will also be making a special in-store appearance at Milk Bar Williamsburg tomorrow at 4pm to sign posters and enjoy some ice cream with fans. And don’t forget the band are performing on Late Night with Jimmy Fallon tonight! 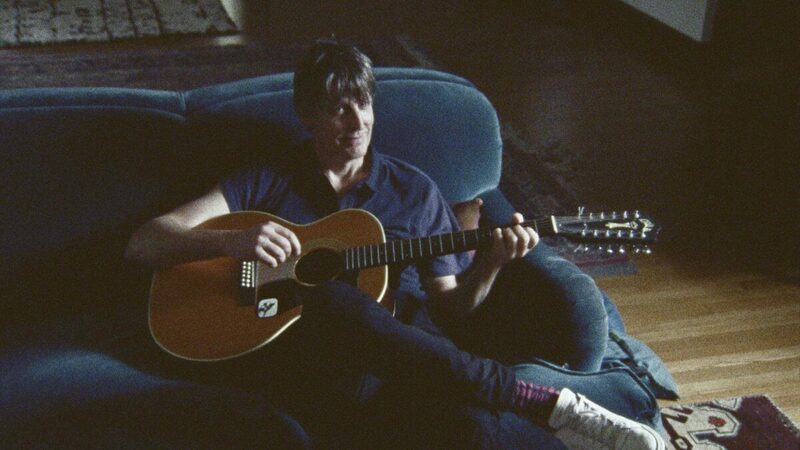 Watch the video for Cinnamon and Lesbians here. Pick up Wig Out At Jagbags (out tomorrow!) 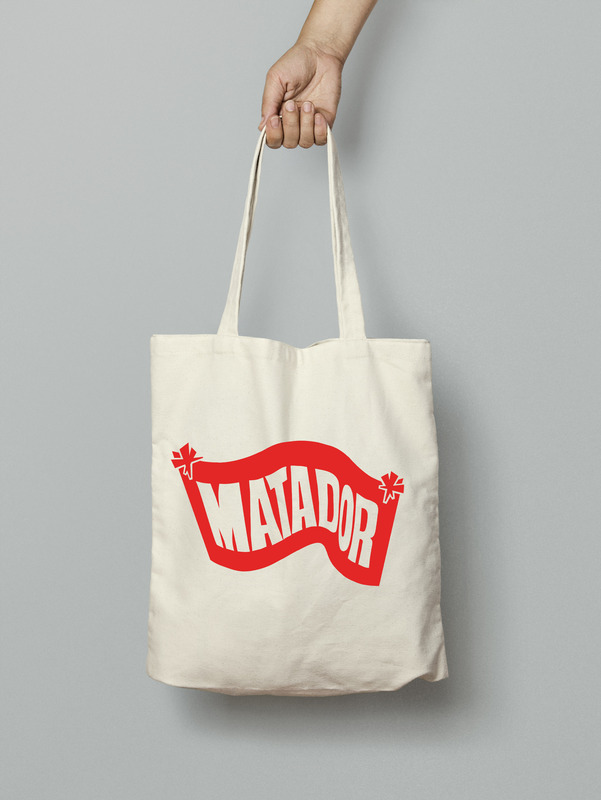 on the Matador Store. 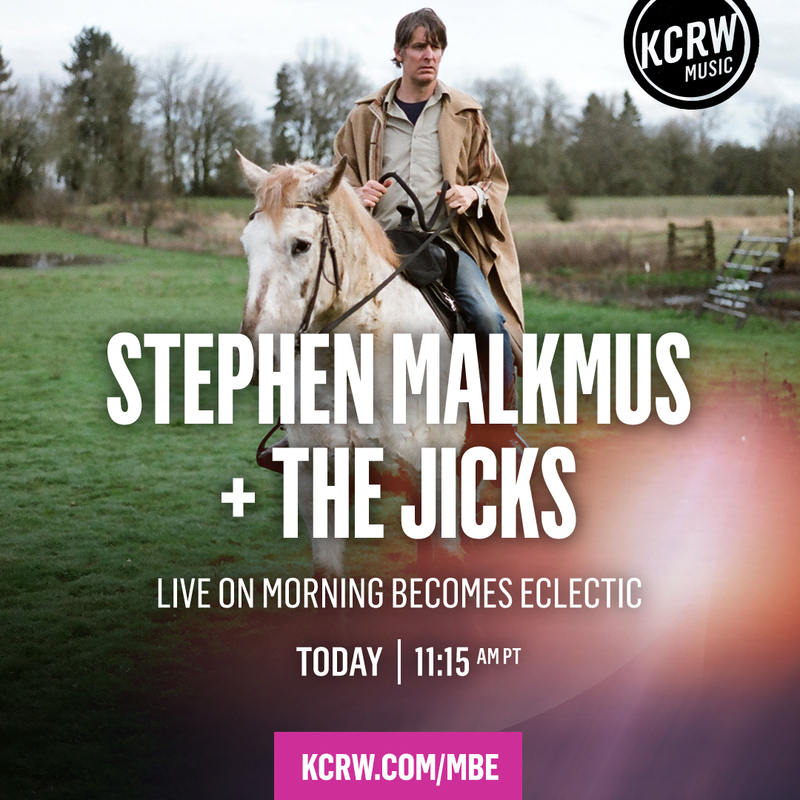 Jagbaggers, we’ve got a lot more exciting Stephen Malkmus and The Jicks news to announce. Firstly, just a reminder that Wig Out At Jagbags is currently streaming in full on Amazon. Listen up and love it here. 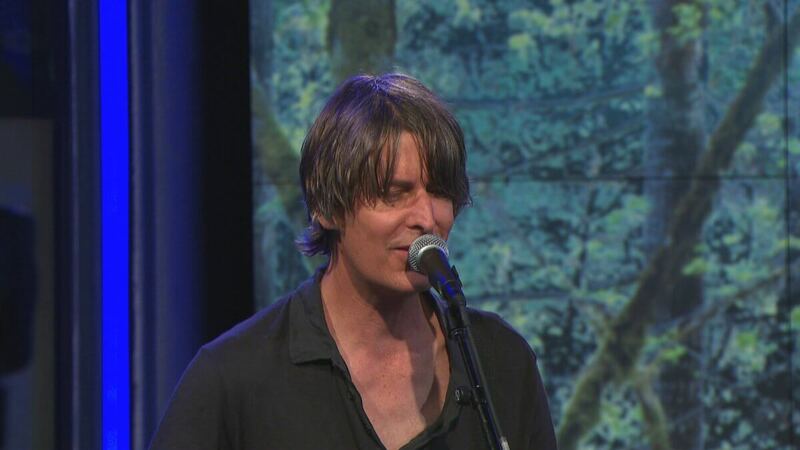 Secondly, on Monday, January 6th, 2014 Stephen Malkmus & The Jicks will be performing on Late Night with Jimmy Fallon. Interested in attending? 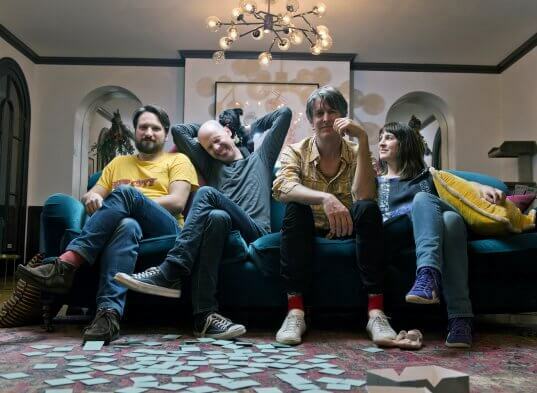 Enter here for a chance to win seats on the band bench and an opportunity to surround the stage during Stephen Malkmus & The Jicks’ performance. Please make sure you include the following band code: SMJ, in your entry form. Thirdly, if you didn’t win the Other Music private in-store contest fear not. The band will also be playing an in-store at Generation Records in NYC on Tuesday, January 7 at 8pm. Come by and ring in the release of Wig Out At Jagbags. All you gotta do to get in is pick up the record at Generation on Jan 7. First come, first served. More details on the below flyer. NOW – Wig Out At Jagbags streaming in full on Amazon. Monday Jan 6 – Late Night with Jimmy Fallon performance. Win a chance to attend here. 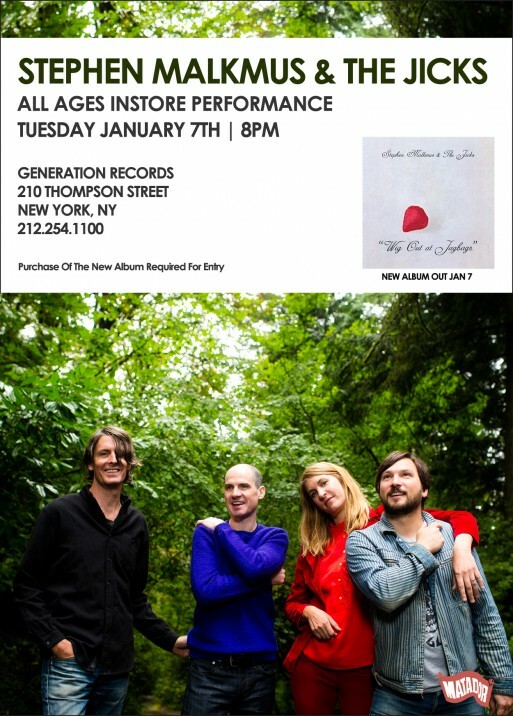 Tuesday Jan 7 – Generation Records in-store performance. Thursday Jan 9 – Other Music private in-store for contest winners. Winners announced here. 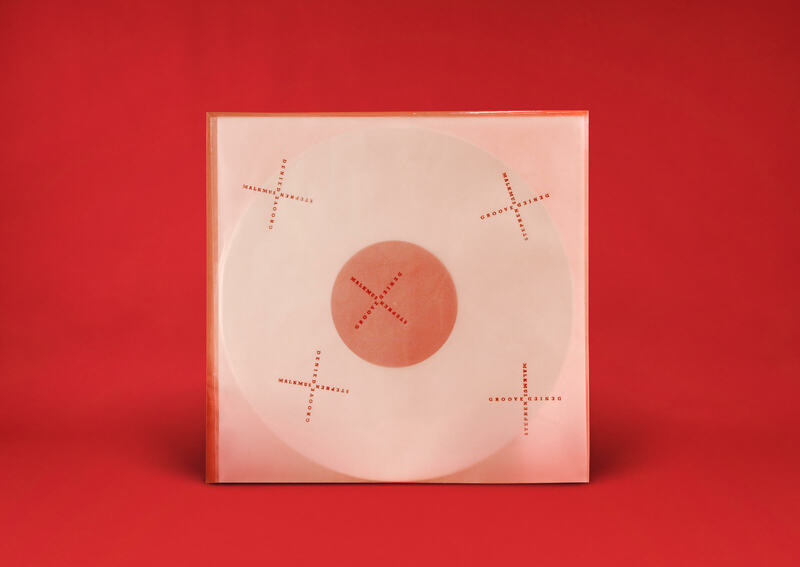 Pre-orders from the Matador store receive pre-order-only “Pick Up The Spare” 7” (single sided 7” on strawberry red vinyl) – while supplies last! Pre-order from iTunes receive a download of “Lariat” instantly, and non-album track “Pick Up The Spare” on release date. 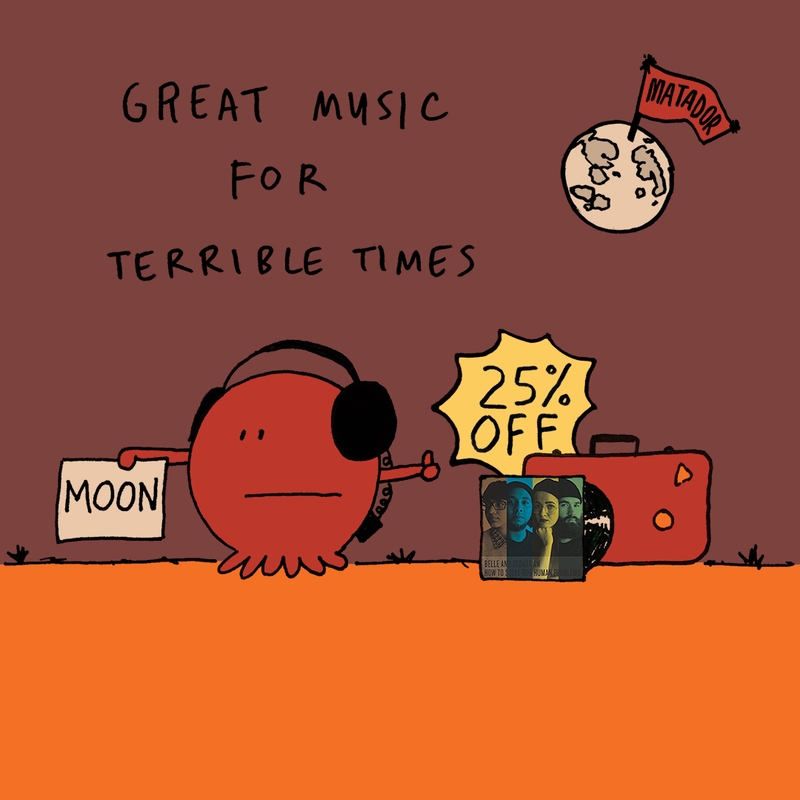 …or, if you prefer, 8 more days to find great records in real record stores before you risk being trampled to death in a Furby-esque frenzy. Naturally, we think the above LP is worth the hassle. 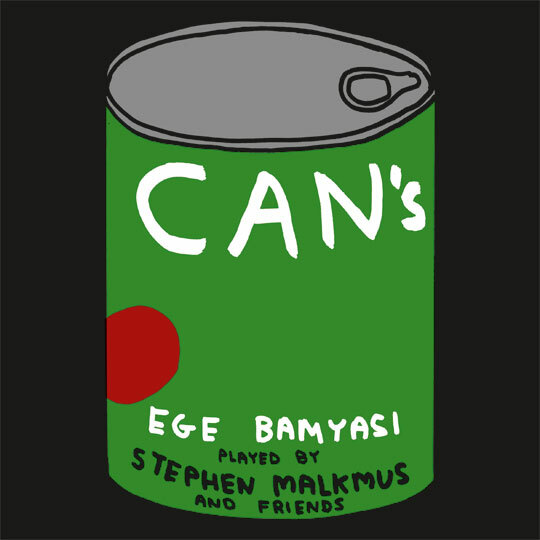 It was the 40th anniversary of the release of Can’s Ege Bamyasi LP (an album known to me in my youth as Ege Bamyasi Okraschoten, because I didn’t know anything), and WEEK-END Fest was happening in Cologne. The dates were November 30 through December 2, 2012, and the festival featured artists such as Ian Svenonious, Justus Köhnke, Alexis Taylor (of Hot Chip), Scritti Politti, Deerhoof and Stephen Malkmus. 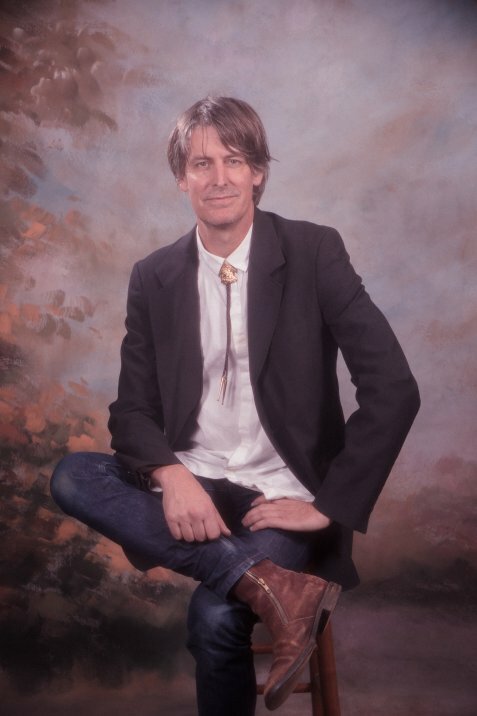 WEEK-END Fest co-curator Jan Lankisch (of Tomlab Records decided to ask Stephen, currently residing in Germany, whether he wanted to play the entirety of Ege Bamyasi with a band of German musicians Jan had rounded up. And Steve loved the idea. So after a few rehearsals, Steve was joined by Sebastian Blume (synths), Felix Hedderich (bass), Jan Philipp Janzen (drums) and Phillip Tielsch (guitar) for a truly magical & wondrous performance of one of the greatest albums of all time. It took place on December 2 at the Alte Kranhalle in Cologne, and was committed to tape by the band. The sound quality is fantastic; the performance jumps out of the grooves and bubbles its way through your stereo. We are releasing the LP as a 3500-copy limited edition on green vinyl for Record Store Day, April 20, 2013. (Domino will be releasing it on red vinyl in Europe.) 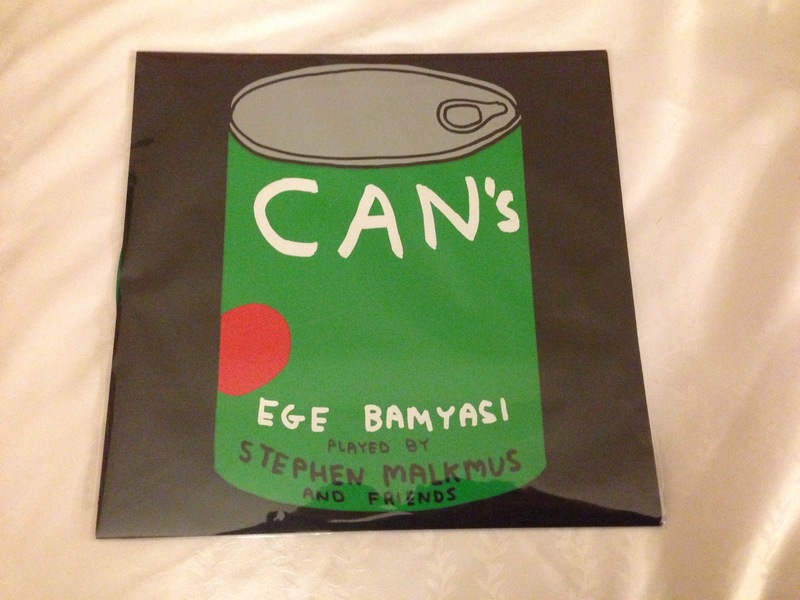 The hand-printed silkscreened sleeve was designed by David Shrigley, who also designed the poster for the event, inspired by the original artwork for Ege Bamyasi. It is being printed in Germany by Slowboy. We’re truly honored to be part of this special collaboration between tons of talented artists.